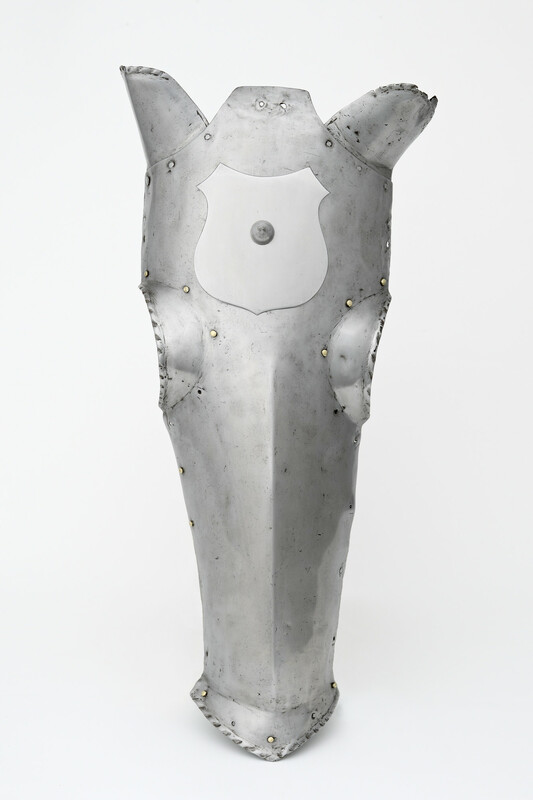 Shaffron of large size, formed of a main plate with flanged eye-openings and separate ear-defences, fitted at its upper end with a modern escutcheon. The main plate in its lower half flaring to the nostrils, its main edges formed with roped inward turns. Similar to RCIN 72920 but with a less markedly rigid lower half and with no grooves accompanying its turned edges.